I might be the biggest crazy shopper of Innisfree brand. I have tried at least 2-3 products from its different ranges including Brightening Pore, Green Tea, Bija, Jeju Volcano, Canola Honey, Orchid and many others. Since they are made from natural ingredients and lack harsh chemicals, I love using the products from the brand. This is my go-to brand for every Korean skin care need from Day in and day out. Since I shop a lot, I get a lot of free products too in form of trial kits. 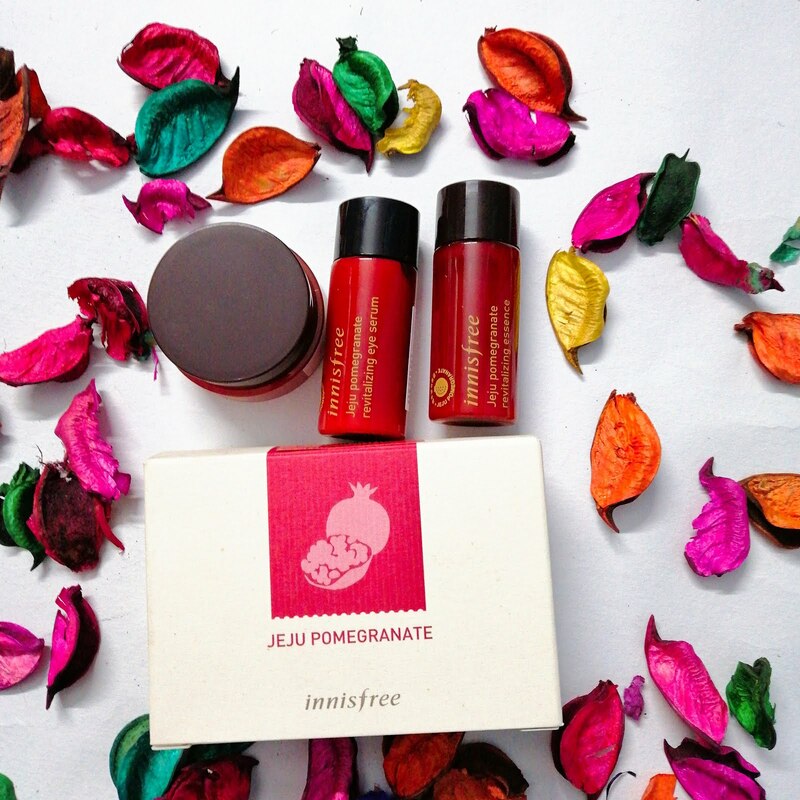 So, today I am here with another of such Innisfree kit, Innisfree Jeju Pomegranate Revitalizing Kit. Let's get started with the review. 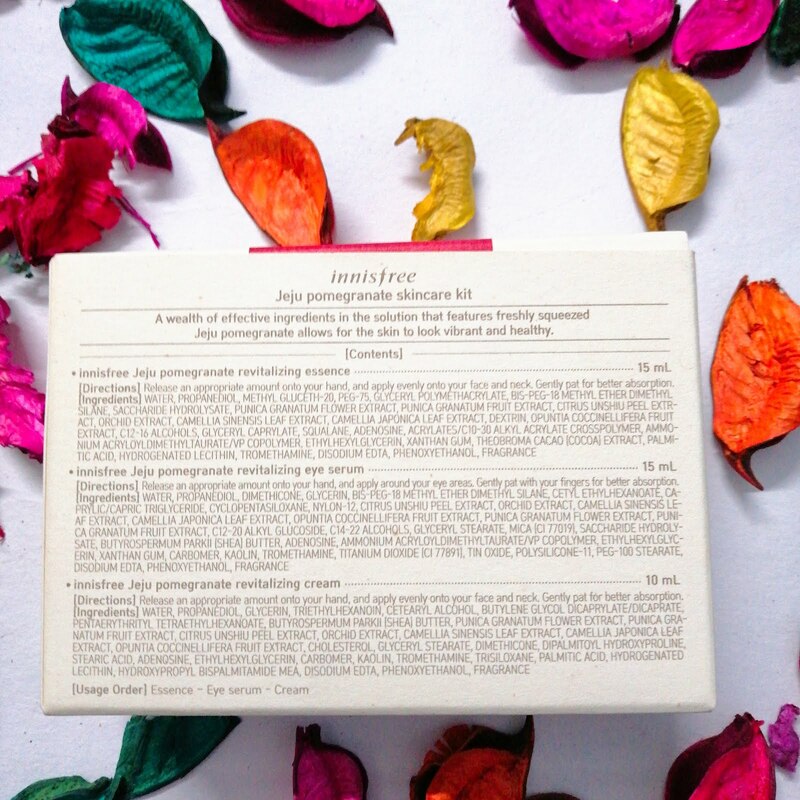 It is given with certain Innisfree purchases on online shopping websites as well as Innisfree stores, free of cost. A revitalising essence that infuses vitality and energy to the skin with active ingredients from Jeju pomegranate squeeze for a healthy and lively complexion. I love the gentle fruity fragrance it has and the smooth texture of the essence. It is absorbed in my skin very well, making it feel soft and supple. A revitalizing eye serum with active ingredients from Jeju pomegranate squeeze for bright, supple and smooth skin around the eyes. It has a cooling sensation which helps my eyes to feel relaxed. 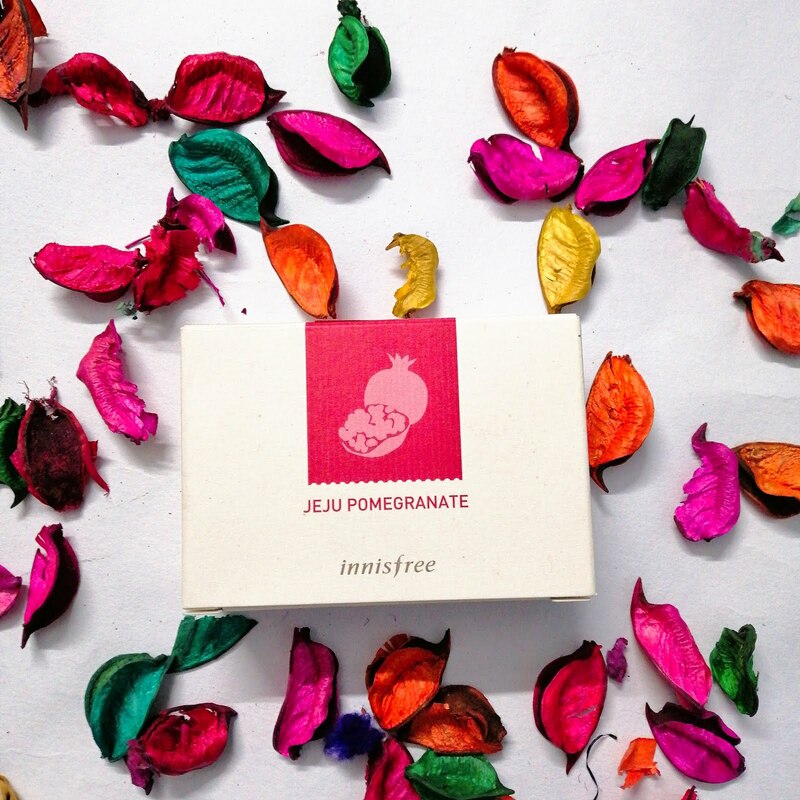 A revitalising cream with active ingredients from Jeju pomegranate squeeze for vibrant and healthy skin. The texture of the cream is very silky and moisturising. My face feels very soft after application. 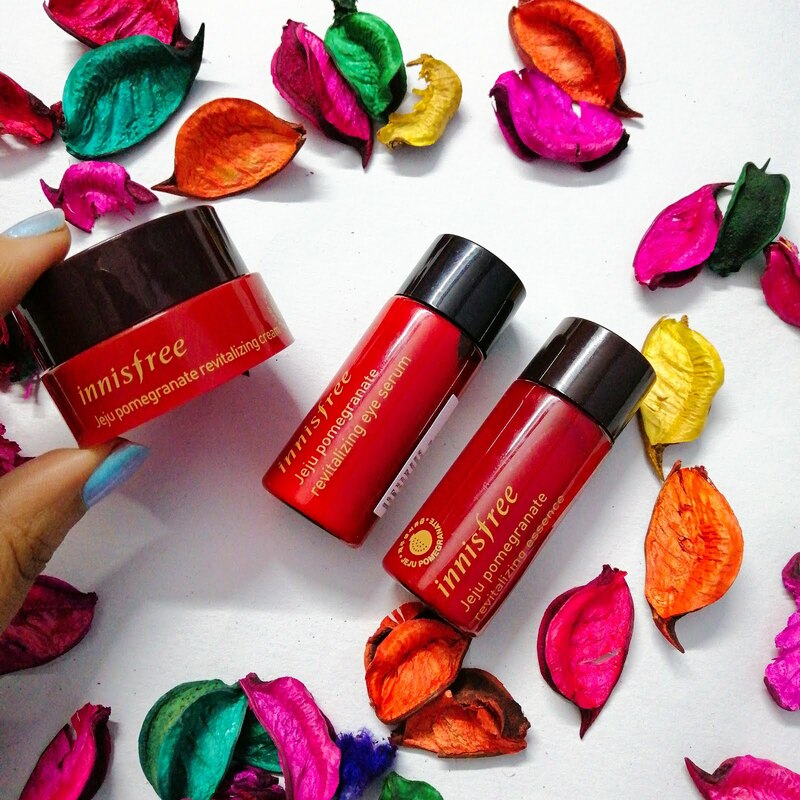 It is a great way to try out new Innisfree products. I shop a lot from the brand and have many of these small kits from the brand. Whenever I travel, I just take any of these with me for on travel skin care. These are small enough to fit into the vanity bag and a great way to indulge in Korean skin care wherever you are. The quantity is quite good so, you can actually see if the product is going to work for you or not. My personal favourite is the Innisfree Jeju pomegranate eye serum. It has a cooling factor and it relaxes the area around my eye.